Over a month ago now, the Midwinter Solstice heralded the good news that the days would get longer and Spring would soon be with us. 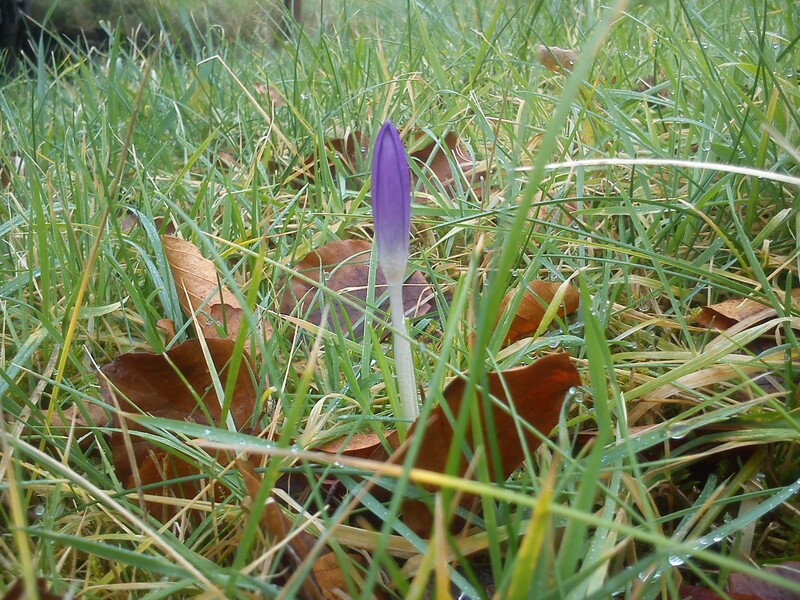 As we approach Imbolc on 1st February, here are the feelings this time of year evokes in me. Time of the reappearing maiden goddess, full of sacred understanding from her time within the sleeping earth of winter. Nature heralds her return – the springs and swelling streams are her attributes – the life giving water of soul and survival. Catkins are appearing on the willow – it is time to make the most important wishes of the year – walk out to a willow, tie a bow or a love knot into a willow frond. Celebrate all joys and a rainbow good feeling – tie the 7 coloured ribbons of the spectrum into the pale green branches of the tree. As they flutter in the wind, they bring blessings to all you think about. Only 3 precise wishes during the year so, choose carefully. Imbolc – Festival of Lights. Circle of tea lights for higher inspiration from the goddess. Lunar sabbat – mysteries of the unknown. In this circle, meditate, sing, chant, ask questions of your inner soul that are troubling you. Answers will come after a night’s sleep. Love rituals – for new love or to meet someone new. Imbolc maiden is innocent but stirring. Shrine to love: lock of hair, ribbons and ornaments and a single vase holding a crocus or snowdrop – blessings under your roof. Plant one white flower for peace and prosperity from the maiden. We honour the triple goddess Brigid – teacher, magical instructor. We honour her in her maiden aspect, though she is pregnant with the young seed of the Sun. Activities include making corn dollies or just use one dried ear of corn and tie with a white ribbon, improvise. Herbs: heather, dried sage, lemon, honey, garlic, coriander seeds, rose hips, witch hazel, sunflower seeds, dried sunflower petals, vervain, violets, wheat, grains, myrrh, dragon’s blood, benzoin. Stones: clear quartz, citrine, yellow tourmaline, green tourmaline, rose quartz, iron, hematite, ruby, garnet, red zircon. Scrying and divination are appropriate to this time. This coming Sunday, Tribal Unity Wales will dance in a circle of light on our Welsh decking and welcome the Spring.